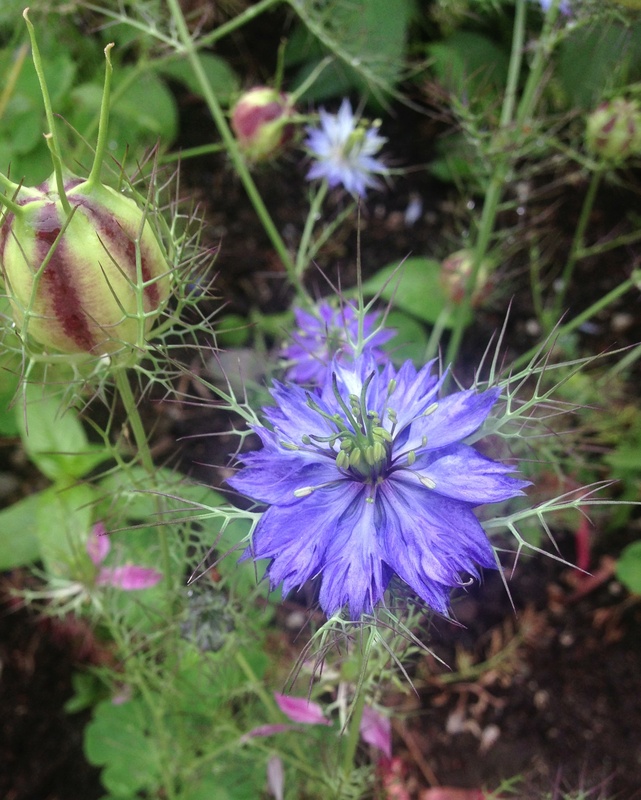 Along with having a beautiful name Love in the Mist or Nigella damascena has many other uses. This native to southern Europe self seeds prolifically so be ready to weed or put it in a place where it can run wild. The blue, white or pink flowers look great in cut flower bouquets. With its deep jewel tones it’s easy to see how this flower has been popular in cottage gardens since Elizabethan times. The dried seed pods lend shape and interest to dried flower arrangements. A relative, Nigella sativa, is known as black sesame and is used as a cooking spice in Indian food. It is questionable whether the seeds of N. damascena are edible or not so I would not eat them; some sources say they are tasty and others say they are actually quite toxic! 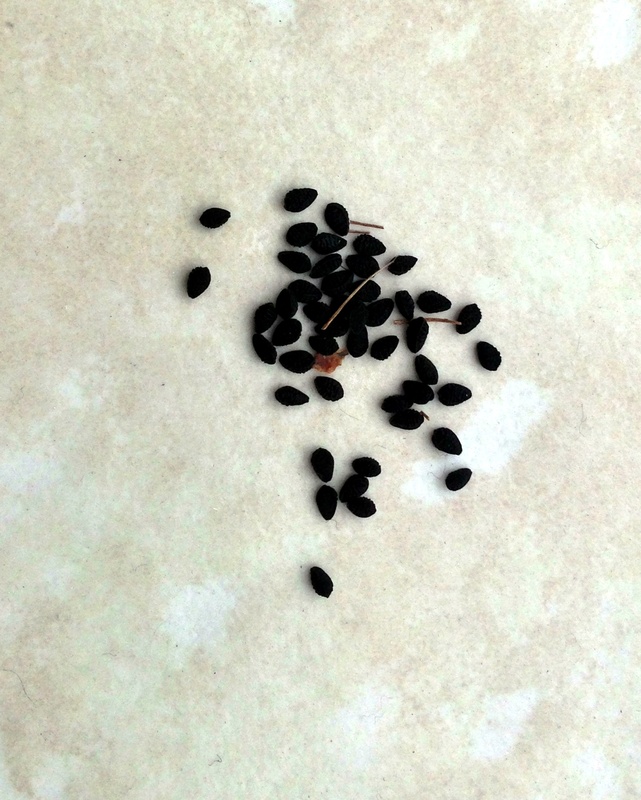 The dried seeds can be used in craft projects.